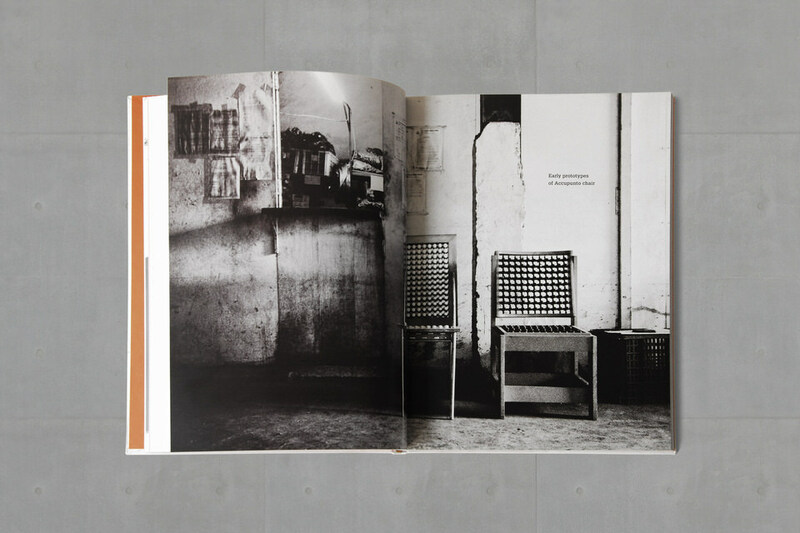 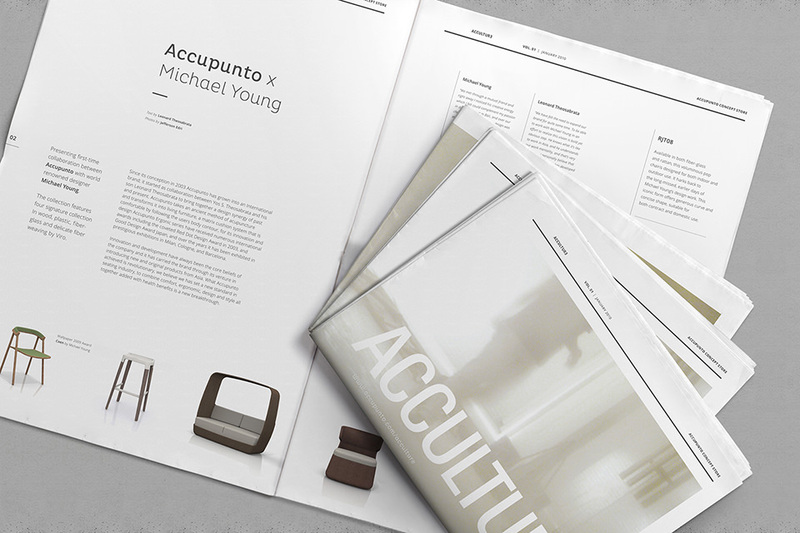 Accupunto is a furniture brand founded by passionate father and son, Yos Theosabrata and Leonard Theosabrata. 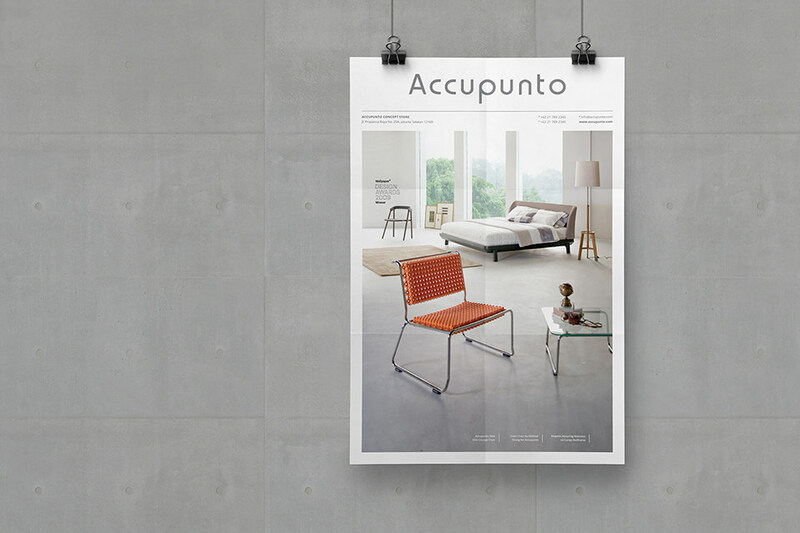 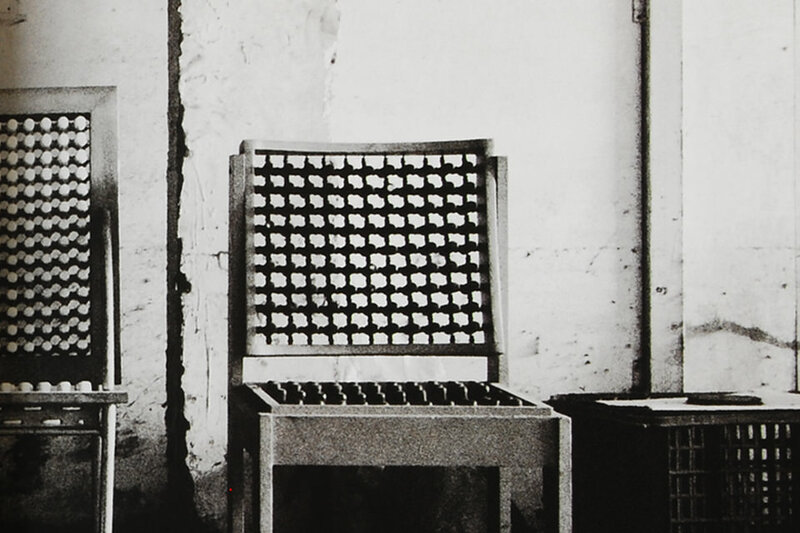 Their signature design inspired by acupuncture method, resulting in unique and comfortable chair. 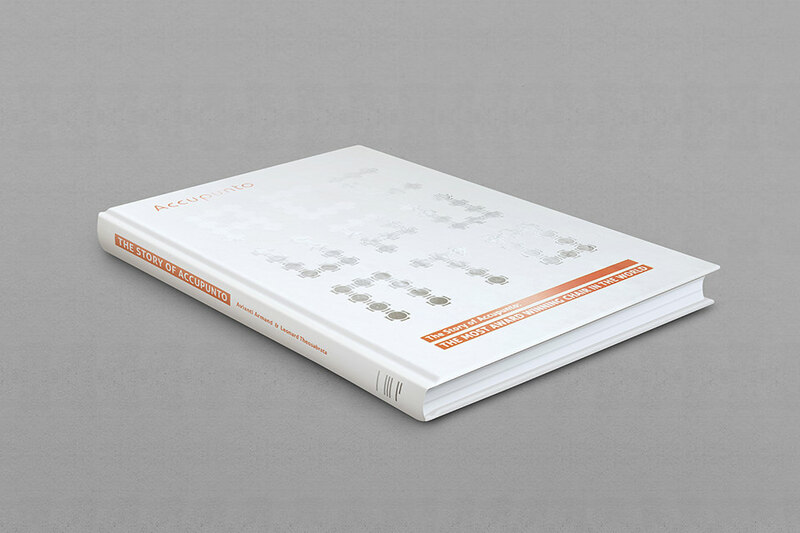 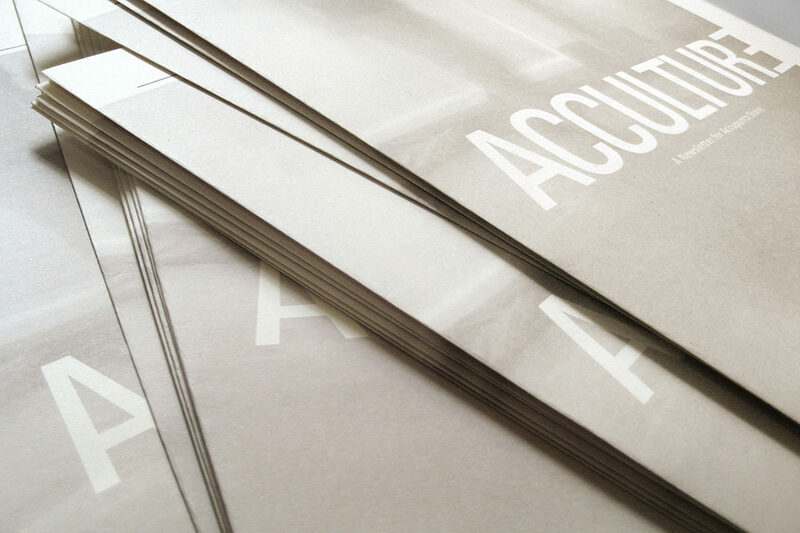 We were tasked to design the brand book and also quarterly newsletter for the store.